What does Jose Martir, a native born Honduran, and a Canadian Hockey Player have in common? While this question is frequently the set-up phrase for one of the oldest jokes around, this punch line explanation comparatively illustrates how seriously the Unión MicroFinanza (UMF) team respects Martir. The Canadian I am speaking of is known all around the world as Steve Yzerman or simply “The Captain.” I watched Yzerman play hockey almost my entire life before his retirement in 2006. He was an astounding player, but it was through his role as captain of the Detroit Redwings were he created his legacy. He did not lead his team with words, but by example through his abilities, effort and passion. And, in his later days when his skill dwindled down you realized how much Yzerman just plain worked, hustled, gave it his all and superbly used his mind and body as one coherent unit to make great decisions. This resulted in Yzerman serving as the longest captain of a professional sports team in North American history. 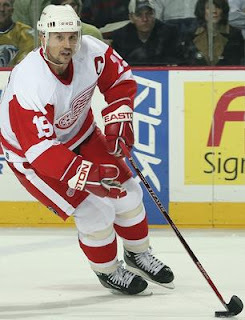 In all Yzerman was captain of the Detroit Redwings for 20 seasons, 1300 games and in that span led the Redwings to three Stanley Cups while winning almost every major award in the sport of hockey. Martir exhibits many similar character traits to Yzerman. Martir is an exceptionally knowledgable person and a man of few words. Martir's presence brings a calming assurance that lends a great deal of confidence to our team. UMF's confidence in Martir was earned with his outstanding knowledge and character, his dedicated work ethic, and his passion for the community. Martir is 32 years old and was born in raised in La Unión, Honduras; the same area in which UMF conducts primary operations. 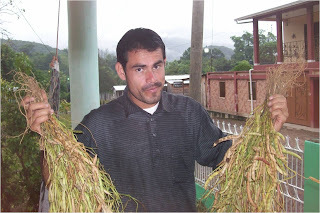 He is a graduate of the local colegio (high school) and has a degree as a social promoter. Much like his Honduran co-worker Gilberto, Martir seems to stand out from the rest of his peers. He is a great father who provides for his family and teaches them the principles he lives by. Martir's oldest son is often with him and given the chance will work just as hard as his dad. I became aware of Martir's abilities years before the creation of UMF, but failed to fully realize what an extraordinary individual he is. 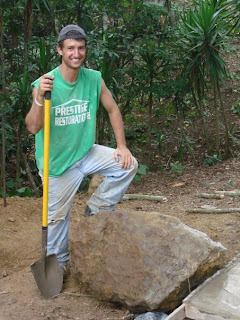 One summer I eagerly traveled with a mission team to provide help in Quiscamote, which is now one of UMF’s loan villages, and remember working on a latrine (small bathroom) project. We decided we were going to build one more latrine for a widow on the edge of town. To start, we had to dig a 10 foot hole into the mountainside. After digging about 4 feet we hit a giant rock vain. We kept digging deeper around it but realized that we were going to have to break throw it. We used iron spuds for about three hours, pounding away at the rock with little progress. Towards the end of the day, with a swift confident motion of his hand, Martir quietly took hold of the hammer. With two precise blows on a key vain in the rock, he broke off a 500 pound chunk which we then dragged out of the whole. For everyone who witnessed Martir demonstrate, with precision, his understanding of the Earth, the moment will forever be ingrained in our minds. For Martir, is was nothing more than another days work. From overseeing service team projects, fixing the company motorcycle, conducting loan meetings and training sessions, entering data into the computer, and overseeing coffee quality control, he does it all. Behind these abilities is an incomprehensible work ethic. He works long after business on days off and sometimes needs to be reminded he should slow down. Martir may never receive the awards of a professional sports player, but he is establishing his own legacy just the same. Martir will be locally renowned and always remembered for his astounding impact on the development of La Unión. And that is Jose Martir: the Rock, the Captain. I’ve been back now for one day longer than a week and had developed thoughts which had yet been transformed into written word. Here I go. There I sat, in the Centro Social (Social Center) an MPR type structure used for gatherings, dances, performances, and anything garnering a large attendance. Wednesday’s event was a type of town hall meeting. 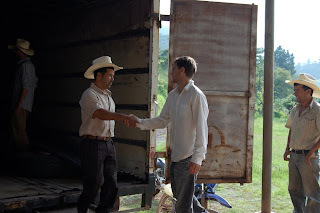 Patrick and I had been invited the previous day when the Vice Mayor witnessed our meeting with IHCafé (the Institute of Honduran Coffee.) 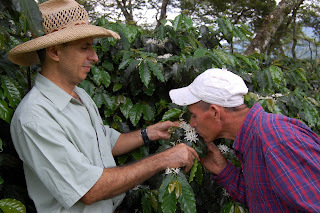 Though it makes no difference to the story, we were discussing future training plans with IHCafé and ways to provide incentives for producers to increase crop quality. So anyways, here I was, at this meeting, four days since returning to Honduras after more than one month being back in the United States. Even with the short amount of time I had spent reviewing the streets of La Union, it became radiantly clear on what I personally had done in this village, the time I had invested, and subsequently, the relations I had formed. On a collective front, it was also very impressive to be reminded of where we had come as an institution. This nostalgic period of remembrance continued into the day’s town meeting. I ran into my dentist who was planning to speak on a small vegetable cooperative he was representing. A pastor/farmer/friend from Las Peñas who is atypically Honduran flamboyantly grabbed hold of me around the waist, with literally, arms wide opened, as he laughed his high pitched giggle from excitement that his coffee classified as specialty and was being sold directly in the United States. People were here at this meeting representing various organizations, many working under the auspices of government funding, sharing the common bond of the desire of development, just like us, Unión MicroFinanza (UMF). 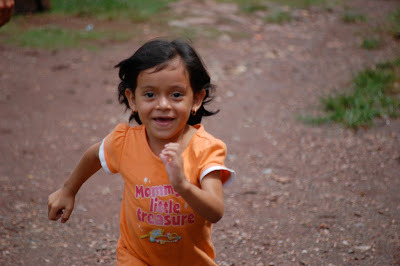 Now, already in my story are a few themes reemerging from my two years experience in Honduras. These themes are common to feel in the developing world, and having already spent much time here, it was easier to slip back into the comprehension of these rural third world dynamics. On one hand, it was great to be back for many reasons. The relationships I had formed held strong and people were sincerely happy to see me return. For one reason or another, many people thought I would be gone for good. It was great to return to a community that considered me part of that very community. And not only me, but after a year and change of hard fought battles, UMF was now being invited to town hall meetings, signifying we were now considered a viable player on the development stage. It was also great to be back and see all the growth, not only of the revitalized public health clinic, but of my garden! It’s a beautiful thing watching natural landscapes thrive through change. My banana trees had grown more leaves, my mini-bonsai cacti had expanded, tomatoes had been harvested with dying stalks ready to be uprooted, some random cabbage plants that had weathered the storms of zero maintenance nurtured balls of nutrition, and my dill which was now towering high over the soil shined with yellow brilliance. Things in my garden were exciting; of course it was natural for me to think of preparing for my next harvest, and a possible scaling up of operations. And after living luxuriously throughout the States, I still enjoyed returning to my village, my house, and especially my room. I brought back a single-seat hammock, which I had stored in my closet for over eight years and now my room is awesome and am finally getting some use out of it. The meeting begins, the mayor is in attendance, all major NGOs with a presence in La Union are in attendance, and by this time I’m hanging out with Patrick’s girlfriend Grissel waiting for my time to speak and represent our organization. For many who don’t know, she is a kindergarten teacher out in Lepagual, and here we are, school has resumed after the slowing down of the coffee harvest, it’s a weekday, and her and other public school teachers have been mandated to attend the meeting (though I’m not discounting the importance of a NGO State of the Union) but there seem to be many conveniently planned events that pull teachers out of schools. Sort of like the weeks leading up to Vida Abundante’s Fiesta Típica (Typical Party)…yet another story I’m leaving out in this write-up. Cutting to the chase, after many organizations relay budget numbers, families helped, stoves built, it is my turn to speak. Many people are still getting to know who and what Unión MicroFinanza does, so instead of focusing on PowerPoint presentations or rattling off figures no one would pay attention to, I drive home many messages. One, that what we’re doing is good, we’re working with the people, that before we started working we made sure to know the villages in which we planned to work. Two, that we help agricultural producers not only with loans, but with training and by opening up access to new markets. Three, that we complement our microfinance program by bringing service projects to the most needy villages. And four, a sort of concluding comment that was certainly heard by and later referred to by local and national leaders in attendance is the following: UMF, we, I, am not here to compete in some development race in order to gain more recognition, more resources, or some other selfish aim, but rather all NGOs, the government included, is here to share in the development of La Unión. 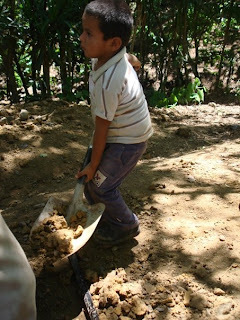 Perhaps one NGO will be more successful than the next, or more capable to carry out a certain kind of project than another, and may or may not grow faster than another, but I feel within La Unión, you have these various acronym labeled institutions competing over the rural poor. But it isn’t a competition, I tried reinforcing the need for a unified fight, for sharing information and best practices, but am unsure how far an ideal this is from the reality here on the ground. After sharing my thoughts I sat back down, the meeting concluded shortly thereafter, I presented some reports with fancy numbers and data to state-level officials and made my way back to my house. Already, within the short amount of time back within these mountains I feel I can relay stories capturing a multitude of themes. Many of you who have spent extensive time in community development, in third world rural development, know these themes, some beautiful, many worrisome. Suffice it say, the wheels of mind are turning once again, my days have become challenging once again, and I’m ready to carpe diem. It will be a great week for Pastor Bernardo, the La Unión region and the work of UMF. I wish Josh the best of luck this weekend and will be there to cheer him on. The Launch of the Unión MicroFinanza (UMF) team video "Why we are Different"
To get the know the faces, creative minds and hard working individuals behind the the success of UMF, view our first team video here: video of UMF members. This video is produced by UMF Manager of Community Relations, Daniel Schwartz. Gilberto or Huracán! (Hurricane) as he is at times enthusiastically called by his fellow staff members, has an enormous amount of energy that translates into the zeal that he has for his family, community and work for Union MicroFinanza (UMF). Now 37 years old he was born and raised in La Union. He attend the local colegio (high school) were he received a degree as a social promoter. 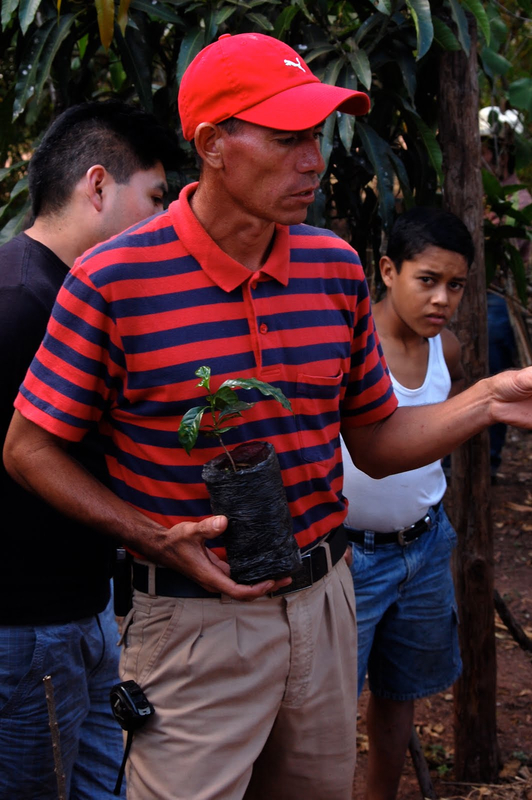 For Gilberto this has led to a life of serving his community. He has worked on numerous development projects and with other NGOs before his time with UMF. Gilberto stands out from his peers. There is a certain warmth and ability to connect with people that is genuinely unique. In the Machismo (excessive masculinity) dominated culture of La Union, Gilberto seems to show a certain sense of grace towards his wife, family and all he meets. He has three beautiful children Alan, Cristian and Sophia, who are endowed with the courteousness and intelligence of their father. 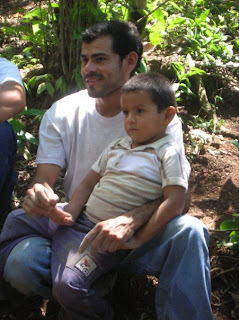 When we first met Gilberto it was because we gave him and one of his sons a ride. They were walking the many strenuous miles between villages to conduct a health initiative for an organization. Gilberto had his son with him because he wanted him to learn the importance of serving the community. Gilberto’s home exhibits both the grace of Gilberto and the energy of Huracán. It is a place that is set up comfortably to provide for his family. However, many parts of his home exhibit traits of Dexter's “agricultural” laboratory. All ashes from the fire are put in barrels to mix with other substances for experimental fertilizers. Evidence of carpentry projects lean against walls and are represented by a beautifully finished reclining chair. His backyard is a botanist’s dream as the Garden of Eden seems to be finding new roots there. Much of this is due to Gilberto’s inquisitive nature which in addition to everything else he exhibits is one of the tremendous strengths he brings to UMF. Whether you are hiking with him, on the agricultural test grounds of IHCafe or conducting a training session with him, he is always touching, smelling, tasting and taking samples.. Any new innovative farming techniques he is fascinated by. He will then take this knowledge and replicate it in experimental fashion in his back yard. Lastly, Gliberto does not just learn and replicate, he teaches. Whether it is a group from the United States learning about coffee production or a group of UMF farmers, his passion translates into how he relates to people-mix in a little Huricon humor, a deep appreciation for the earth, a warm smile and the ability to explain things in a simple fashion - and you have Gilberto. It is great to have him as a guiding figure and staff member of UMF. And, that is Gilberto Hernandez: the Huracán, the Family Man, the Learner, and the Teacher. The UMF Team: Do You Really Know Them? A new year is well underway! UMF has been in operation for over a year with amazing success. However, before I expand on that success and the future vision for La Union and our organization’s place in it, I would like to pause to give you a more intimate picture of the UMF team. Who is this unique team of Hondurans and Gringos that have dedicated their lives to the growth and prosperity of La Union region of Honduras? What motivates them? Who are they individually? 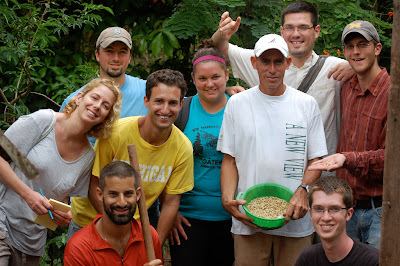 And, how do they work together to reach the farmers, families and communities of La Union, Honduras? Through individual stories, introductions, pictures, and quotes, I will spend the rest of the month of February answering these questions and many more. I hope through it all you get to know “us” better and by doing so feel that you yourself are or can be a part of our team and the vision for La Union and Honduras. I will begin by say this -living out our dream is one of the hardest things any one of us on the UMF team has ever done. At times, living out our dream means long days, low wages and seeing our families and friends only a few times a year. In our first year of operation, we as a team took a vow of poverty - meaning that our entire staff would make minimum wage or below. Our gringo staff in Honduras made 1/3 of the monthly minimum wage. Our US Director made 1/6 of the minimum wage based on a 40 our work week in the US and our Honduran staff made minimum wage. We as a team did this so in our first year we could get as many loans to the farmers of La Union as possible and buy as much coffee as we could for shipment to the US. Besides this we have experienced all the hardships and growing pains of starting a new business, especially one in a down economy. You may be asking yourself at this point, why go through all the trouble? The truth is, not a single one of us would give it up. Living out our dream is truly astounding and it is just that, it is our dream. We cannot image wanting to do anything other than what we are doing now. We are excited and proud of what we’ve accomplished in a year. We have been blessed with the resources that we have received and most of all feel led and inspired to work with and serve the people of La Union. For us, no two days are ever the same. Monday may require filling coffee sales orders, Tuesday may start with a discussion about how to best incentivize early repayment on microloans, followed by a Wednesday filled with both national and international shipping logistics for microlots of coffee. The pace never slows down. 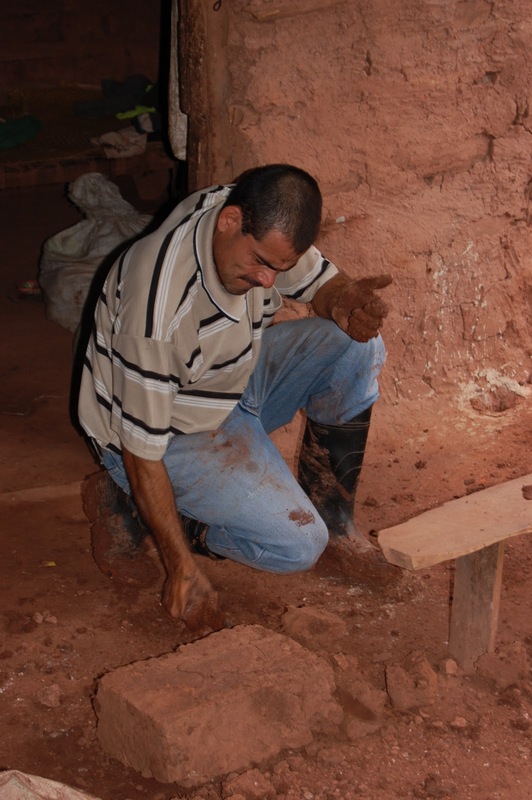 From this work, though, everything accomplished is our own creation—made by our ideas, and our hands -- formed through close and personal relationships with farmers, families and communities in Honduras. More importantly, this community has become our home--cultural differences have become habits. We laugh together, eat together and live our lives together. We share in the hardships of agricultural production with our farmers, and we rejoice with them in the accomplishments, innovations and growing prosperity. For our team, while living a dream may have its hardships, the rewards are far greater. We are ready to take our mission to the next step, but first more about us…. I enjoy watching pots boil, yet they never seem to boil when I watch them. I enjoy watching my garden produce vegetables, but it’s difficult to see the growth sitting on my back door stoop. I also enjoy watching Union MicroFinanza advance towards its goals and strive for its vision, but sitting on the couch making monthly balance sheets and income statements doesn’t really help me see our end result. Eventually, if you put a lid over the top of a pot and have the electric burner going full blast the water will boil. Eventually, if you’ve prepared the soil well, mixed in some compost, nailed in some stakes, your plants will produce some delectable fruits. And eventually, if you lay the foundations right for an organization, throw in some qualified ambitious employees, follow a well crafted business plan, you may just be able to realize the fruits of your labor. And so we arrive at our current position. The water is boiling, the cucumbers are delicious, and Union MicroFinanza is completing its first full year with a trajectory of continuing strong. As my current symbolism suggests, when the water is boiling, you still need to add the right ingredients to make a scrumptious dinner. Even though the plants are growing, you may need to trim them, thin them out, worry about pests, but if all things pan out the way they should, I will be eating my own tomatoes and cucumbers. And finally, though the organization may have been set up smoothly, there are sure to be a few kinks to work out and improve upon as time progresses. With these thoughts I return to my analogy of watching pots boil. It’s difficult to see the evolution of Union MicroFinanza on a daily basis, but looking back over our first year as a non-profit start up, I feel the team here is pretty optimistic about the future. We have a great team, great goals, great plans, we’re ready to throw in our metaphorical ingredients, and it’s time to metaphorically fertilize our microfinance efforts. A new year has begun, further change is necessary, we need to analyze what went wrong, for it’s time to create a better product moving forward. Like I already mentioned, it’s difficult to watch a pot boil, it’s difficult to watch fruits develop, and it’s difficult to realize the development of Union MicroFinanza…until you look back retrospectively with a little bit of hindsight and realize really how far we’ve come. I will be the first to admit that in today’s coffee world, where you can find anything from Organic to Fair Trade to Bird Friendly-certified coffee, the last thing most people want to worry about is another coffee certification. But before you give up on this blog, what do you really know about the Fair Trade, Rainforest Alliance, or Bird Friendly Certified coffee that you bought this morning? The whole point of certifying a coffee is that the end consumer knows that certain standards have been met, but these standards are often so complex that it would take a college course to understand them all. There is a certification just starting to grow in the coffee world that is refreshingly simple and, in my opinion, much more beneficial to farmers: Direct Trade Coffee. (3) Direct purchasing through a relationship between farmer and buyer. Since Direct Trade is a new idea, these ideals manifest themselves in different ways. Industry leaders like Counter Culture Coffee, Intelligentsia, and Stump Town Coffee Roasters each have their own standards for what these principles mean, but these standards all include a minimum purchase price, minimum cup quality, and minimum amount of contact between farmer and the company. Although Counter Culture may set quality standards based upon their proprietary tasting system, while Intelligentsia bases it on their own system, these companies are establishing their own set of guidelines they think best fulfill the three guiding principles. In my mind, Direct Trade is the logical step forward from the current obsession with Fair Trade. First, Direct Trade is set up so that buyers, not farmers, pay fees. Fair Trade, on the other hand, requires large up-front costs from the farmers themselves. This policy actually excludes the small-scale, independent farmers that consumers often associate with the Fair Trade logo! Second, Direct Trade is more sustainable. Since Direct Trade is as focused on quality as it is on price, it gives farmers a reason to continually improve their coffee growing and harvesting techniques. Fair Trade certification says nothing about the quality of the coffee. As such, people often end up paying a premium for inferior coffee grown by a large coffee plantation that can cover Fair Trade Certification costs. At least it has a Fair Trade Certified sticker on the bag, I guess. Finally, even though we may just be “average coffee drinkers,” we should still have the opportunity to learn how our morning coffee got to where it is today. When buying a Direct Trade coffee, coffee shops will know if it came from a small-scale, independent farmer or a large-scale plantation, how much was paid for the coffee, and probably more than we would ever actually care to find out. With this knowledge, it is no longer coffee intermediaries, exporters or importers, or even local coffee shops that determine who we buy our coffee from and how much we pay them. It is us, the coffee drinkers of the world, that get to make this important choice.